The Wildlife Roadkill Prevention Association aims to reduce the roadkill of native animals on the Northern Beaches of Sydney, Australia. 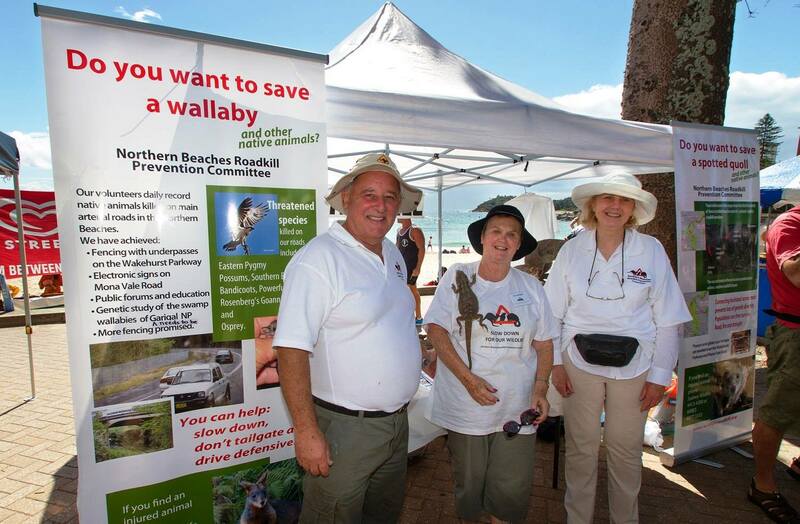 In 2005, the association was formed to address wildlife roadkill and raise awareness of broader conservation issues on Sydney's Northern Beaches. The group is a broad alliance between local government, police, the Roads and Maritime Services (formerly known as the Roads and Traffic Authority), National Parks and Wildlife Service, scientific advisers, WIRES and the Sydney Wildlife. In 2005, committee members began collecting data on the location, species and date of each wildlife fatality on key arterial roads. As a result of the data collected, which pinpointed several focal species of concern, the RMS and Warringah Council funded a 0.5 km swamp wallaby exclusion fence on a main arterial road of the Northern Beaches, being the Wakehurst Parkway. The fence has been an outstanding success, as no swamp wallabies have been killed or injured on the protected section of road since its erection. But the association's work hasn’t stopped with the fence. We're now actively involved in lobbying the RMS to incorporate roadkill mitigation devices in roadworks planned near the near Northern Beaches Hospital in Frenchs Forest.